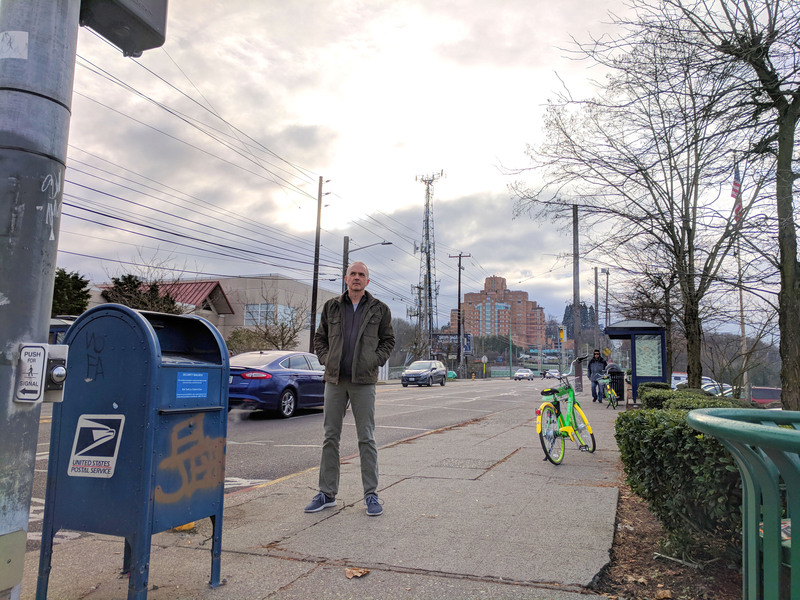 306) When you see that large building looming in the background, do you think “hey, that’s that old hospital” or “hey, that’s the old Amazon headquarters”? Your answer says a lot about your and your place in this city. 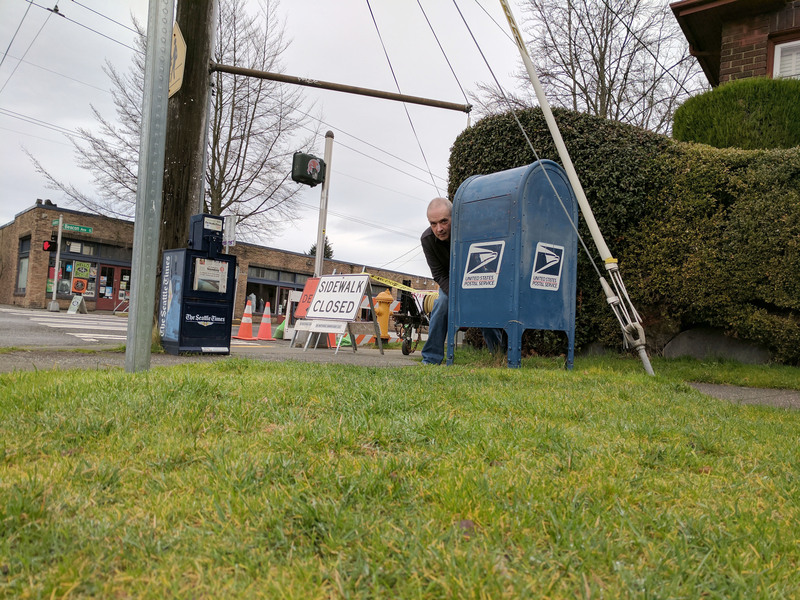 None of that has anything to do with this box, however, because he’s focused on collecting mail from passers-by in the ID. He doesn’t have time to reminisce about buildings that are way off in in the background. 295) I thought my data was wrong. 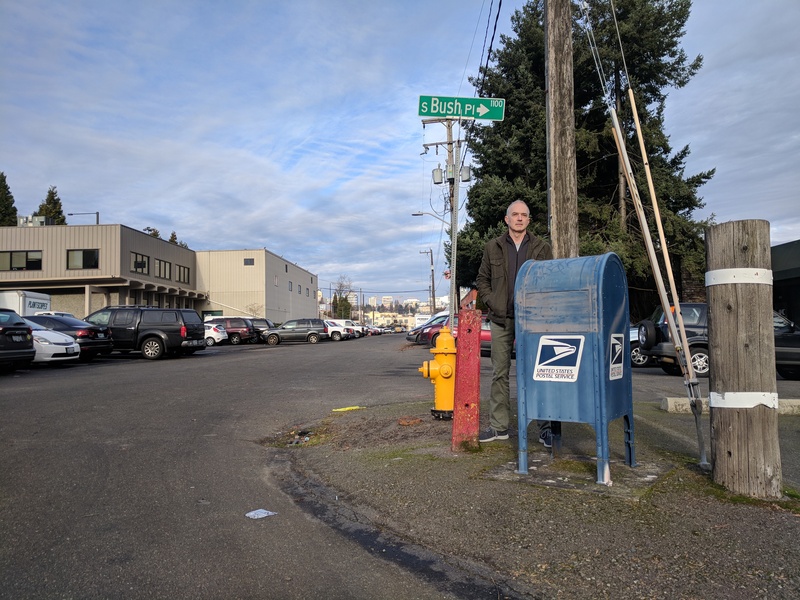 Seriously, when I started investigating this box I thought I had some completely bogus address data, because the box seemed to be in a swath of nothing in a pinch of land between I-90 and Rainier Ave. But I looked a bit closer, and wow, there it was, standing at the intersection of two streets that I didn’t even know existed. This is easily the most remote and isolated inner-city mailbox I’ve yet to encounter. 293) In 1624, John Donne wrote that “no man is an island.” What Donne failed to anticipate, however, is how this sentiment might be applied to the humble mailbox. On an island. Surrounded by asphalt. 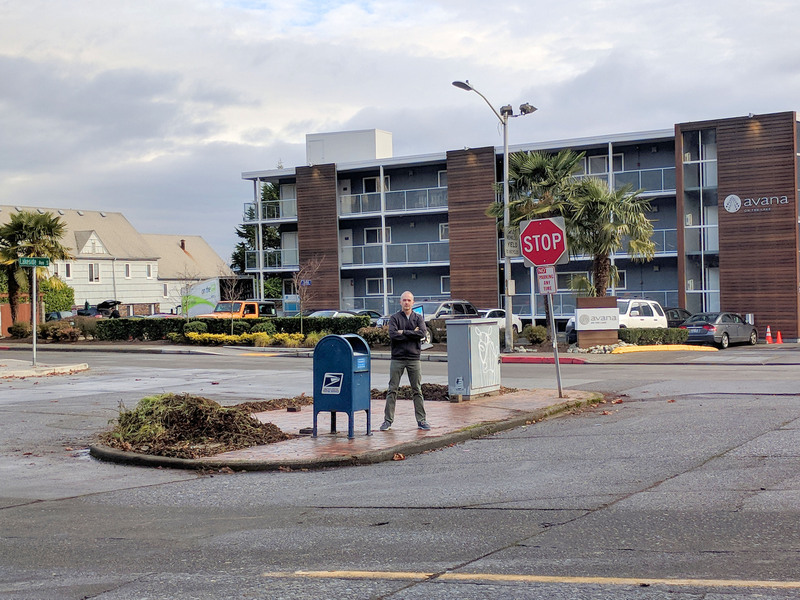 Since Donne himself is unlikely to tackle this thorny issue any time soon, I thought I should investigate the matter myself by visiting this marooned mailbox and seeing how it’s doing. Overall, the box is quite content and he really enjoys the unobstructed 360-degree view. There’s the little matter of a constant fear of being run over, but he had done a pretty good job of suppressing that. 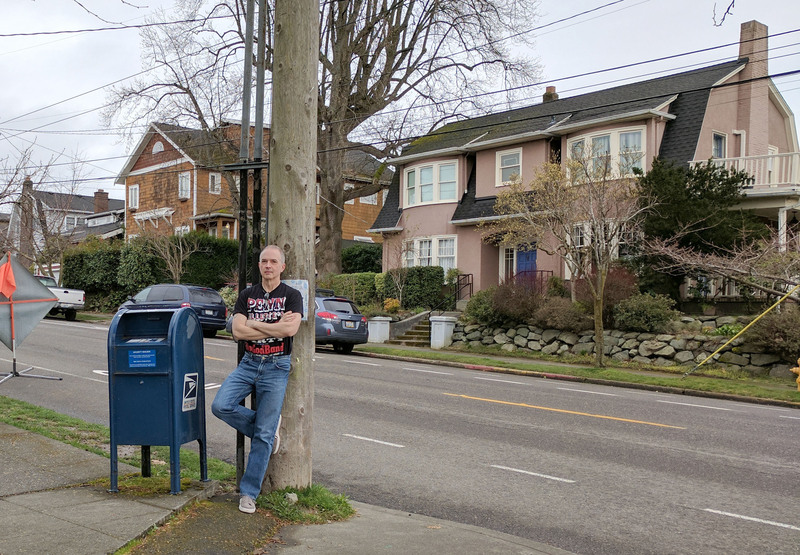 29) Over on Beacon Hill, I found this nice mailbox at the intersection of S Walker Street and 31st Ave S. So I had a nice lean, against this nice pole, with that nice house in the background. Nice.